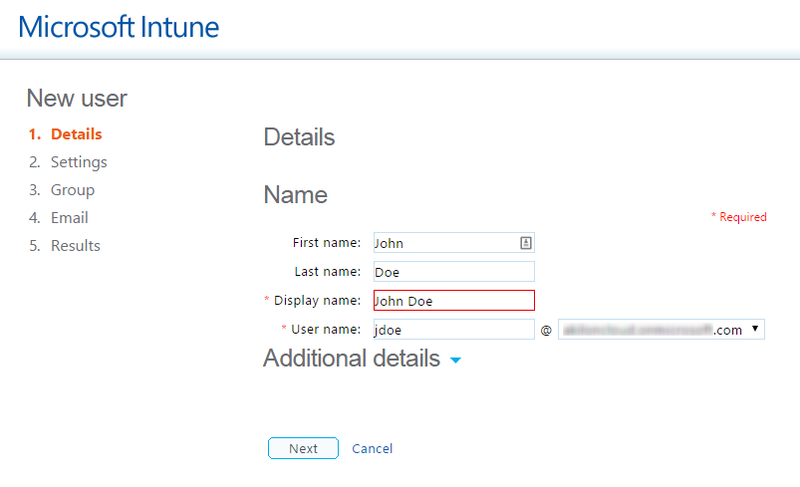 In Part 2, we will configure Active Directory and create users in Intune to make possible a connection between Configuration Manager 2012 and Intune. 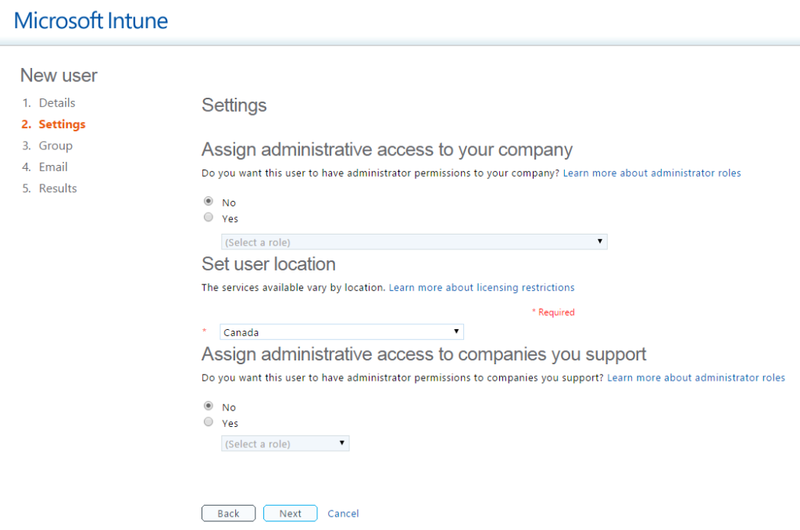 The licensing model for Intune is user based and a single license entitles the user to enroll up to 5 devices. 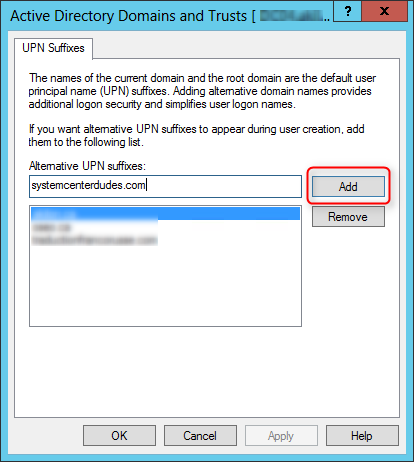 In order to prepare your Active Directory, you need to create an alternate UPN suffix to match the domain you added in Intune. See part 1 if that’s not completed. An UPN suffix is the name of the domain that is added after the @ sign when a domain user account is created. The alternate UPN suffixes will simplify administration and user logon processes by providing a single UPN suffix for all users. 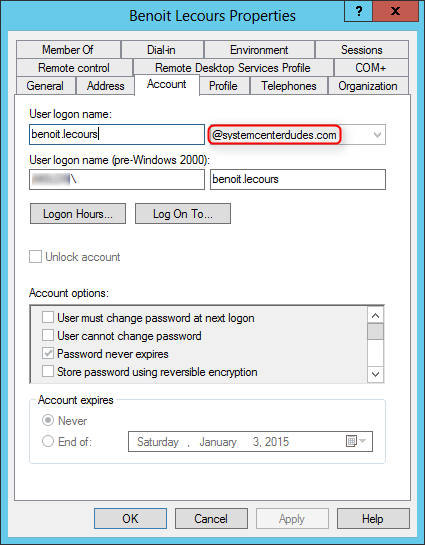 This is the domain that Configuration Manager and Intune would expect users to use when enrolling devices. 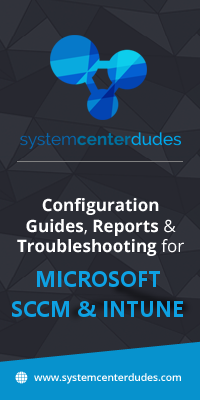 Tip : You can also use this PowerShell command to change multiple accounts. Just change the -SearchName and $_.samaccountname value to reflect your environment. 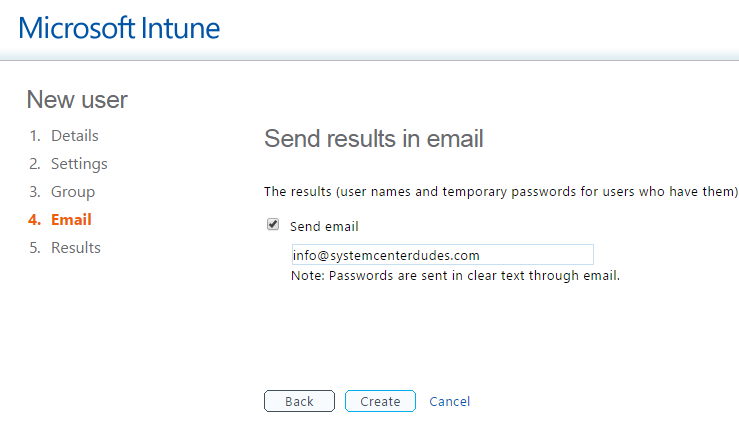 Your Active Directory Users needs to be synchronized with Intune. 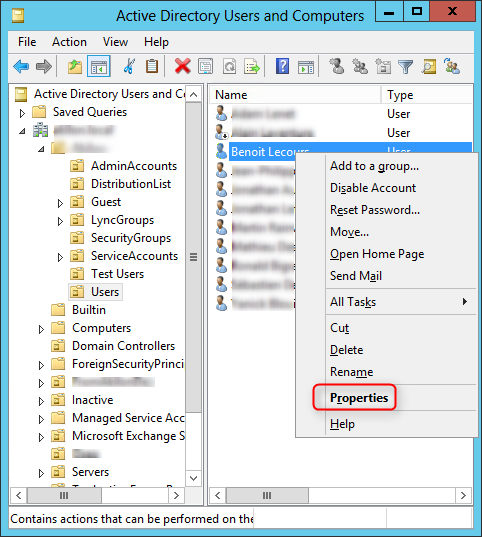 You can use Microsoft Azure Active Directory Sync (DirSync) or create your users manually if you have a small amount. For the sake of this post we’ll create them manually. Select the default Windows Intune group. This group won’t be used since access will be managed through an SCCM User Collection that we’ll configure later. That’s it, you’ve completed the second step to manage mobile device with SCCM 2012. I have an issue with deploying compliance policies to a device. It seems that the device is not getting the policy.